Imagine that you are in the market for a new trombone. You begin your search by learning as much as you can about the current trombone market. Eventually, you narrow your search to a few top brands. At this point, you dig a little deeper to find out what makes each model unique. Every manufacturer says their product is the best, offers better response, minimal distortion, beautiful tone, etc. In the world of large bore tenor and bass trombones, valves are a big factor in determining the sound and response of an instrument. Using the Thayer valve, Edwards has always pioneered improvements in valve technology. Our competitors have tried time and again to improve upon the original design, yet the Thayer remains the industry standard as the other valves come and go. In this blog entry, I want to go over why the Edwards Thayer valve is a superior design and has resisted the test of time. In order to understand valves you must first examine the tubes leading in and out of the valves. 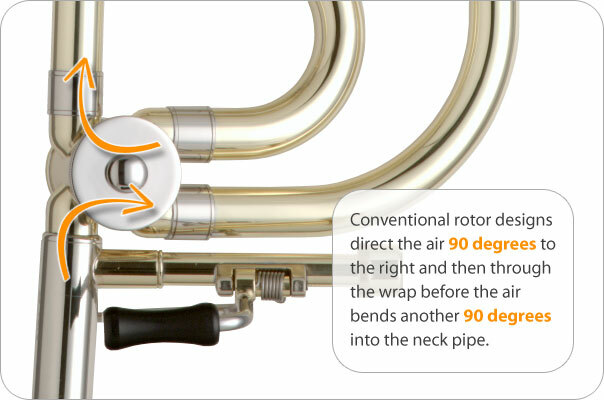 Conventional rotor designs direct the air 90 degrees to the right and then through the wrap before the air bends another 90 degrees into the neck pipe. This second 90 degree turn is achieved only if the valve knuckle is set correctly. On certain trombones the knuckle comes in straight from the top (parallel with the neck pipe), which causes the air to bend 180 degrees. This creates a major pinch in the airstream that changes the horn’s resonance in the valve register. This brings us to an essential point — the most important trait of a good valve is the ability for a player to sound the same on the open horn and when the valve is depressed. Some manufacturers vent their valves in order to get rid of valve “pop”. While good in theory, venting a valve in between the ports can cause half-valved effects. Even more importantly, it can cause airflow interruptions and disrupt the aperture of the player. As a result, technical valve passages become all valve noise and note lengths are compromised, leaving more articulation and air than tone. Now add another valve for bass trombonists and the problems with this design are magnified. Certain vented rotors also present the player with mechanical problems. On these valves, one needs to be careful with the removable bearing plates. If the valve with the stop arm mounted to it moves the ports will move as well. The ports will then be stuck in purgatory, no longer engaged or not engaged ( i.e. a half-valved position). Traditional conventional rotors have the bearing plate (with stop arm assembly) soldered in place. With this design, the bearing plate presses in on just one side, leaving the stop arm in the correct position. As a result, your ports will always line up correctly with the valve knuckles. 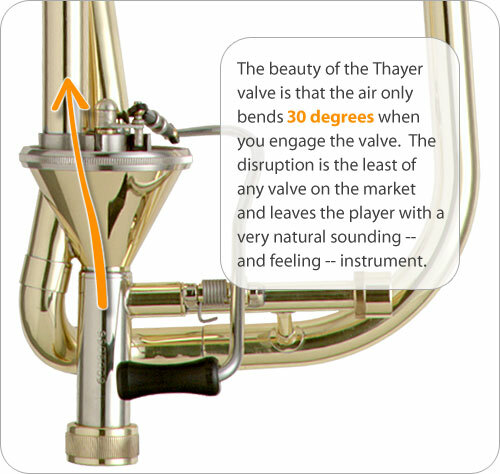 The beauty of the Thayer valve is that the air only bends 30 degrees when you engage the valve. The disruption is the least of any valve on the market and leaves the player with a very natural sounding — and feeling — instrument. The largest bend is on the back side of the wrap where the tubing goes back into the Bb side of the horn. Even with this turn in the wrap, the Thayer valve still allows the player to color the trigger-side notes and even increase the breadth of the notes in the extreme low register. No other valve on the market will allow you to do this. You may be asking yourself why I’ve decided to write a blog on the subject of valves. Well, I felt a need since many of our competitors continue to state that the Thayer valve is inefficient. This is a falsehood brought on to increase their bottom line. ALL VALVES LEAK (if a valve did not leak it would not move). Talk to any good repair tech about valves and ask how they bring pressure up in conventional rotors. For decades these magicians of brass have “swedged” conventional valve bearings to tighten up the compression in the valves. 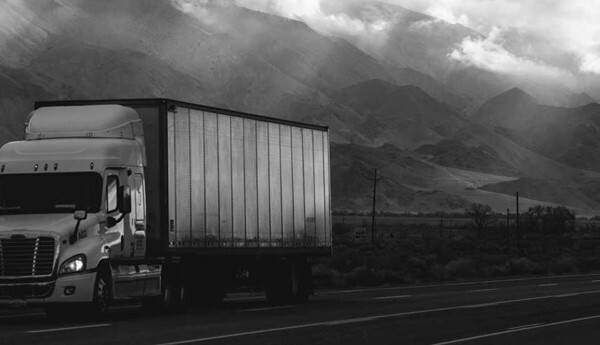 Any moving part is subject to wear and valves are no different. At Edwards, there are certain tolerance allowances we maintain in manufacturing our Thayers in order to keep each valve moving smoothly. We “air pressure fit” every valve to ensure a certain feel and sound in our instruments. There is a balance in valve tolerances. If the pressure gets too high, you might experience tightness in the low register (when the valve is depressed) and excessive back pressure in the high register, causing physical discomfort in the neck and body. 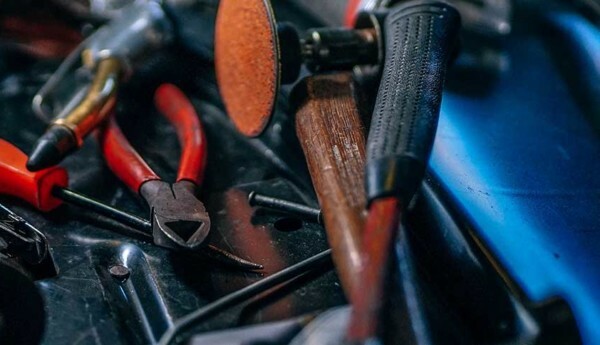 For years we have talked about stress-free mounting of instruments; when tolerances within the valve become too high, this is no different than building stress into the valve. Thayer valve recalibrations are easily done by replacing the bearing and adjusting the top plate. With this simple repair, even the oldest Thayer valves can play and feel as if they are brand new. Edwards continues to produce the benchmark of professional instruments through our careful attention to every detail. 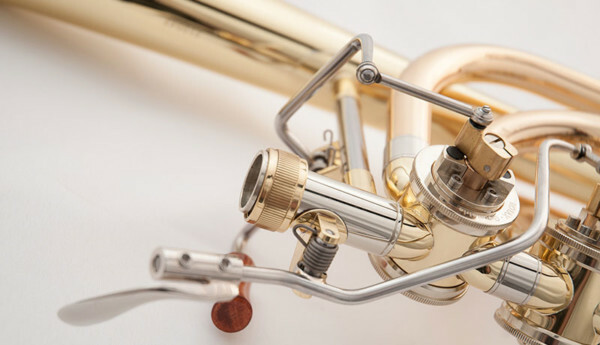 The Thayer valve is a major part of our trombone design because it offers zero distortion and free-blowing qualities that our competitors have tried to copy (which, we have to say, makes us feel a little flattered).